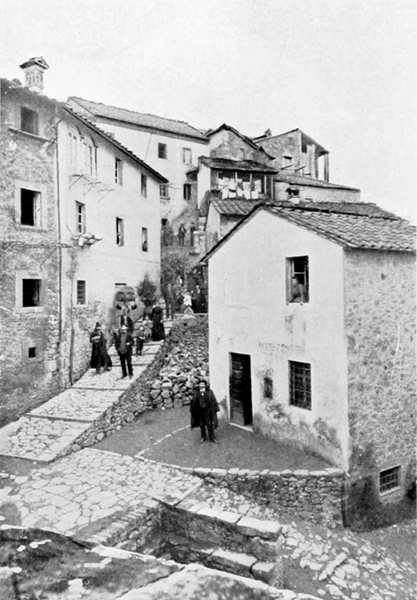 I love these old photos of the villages of Bagni di Lucca. Sometimes there are big changes, and sometimes not. Here is an old photo of the centre of Riolo. The road in front of the house in the foreground has been widened to allow cars to get through. The house now has a pergola in front covered in grape vines. The path leading up from the piazza looks much the same. 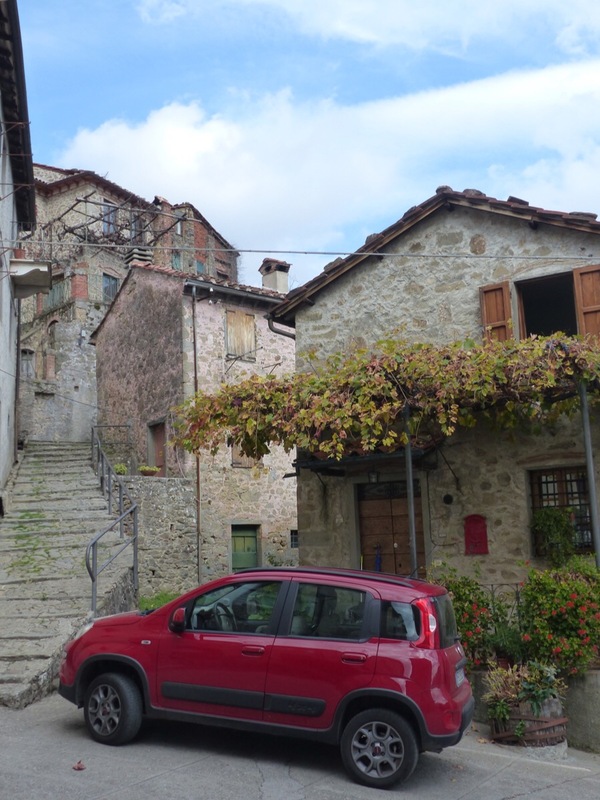 The villages of Bagni di Lucca are all interesting, with their own character. This entry was posted in The villages of Bagni di Lucca and tagged Bagni di Lucca, Italy, old photos, Riolo, travel, Tuscany by Debra Kolkka. Bookmark the permalink. Thank you for posting pictures of Riolo, home of my birth. The house in the foreground used to be a small store back in the early 1940’s, and possibly even before then. It was owned by Anselmo and Celeste Prosperi, my great aunt and great uncle. Many years have passed but I remember Riolo well and it will always hold a very special place in my heart. 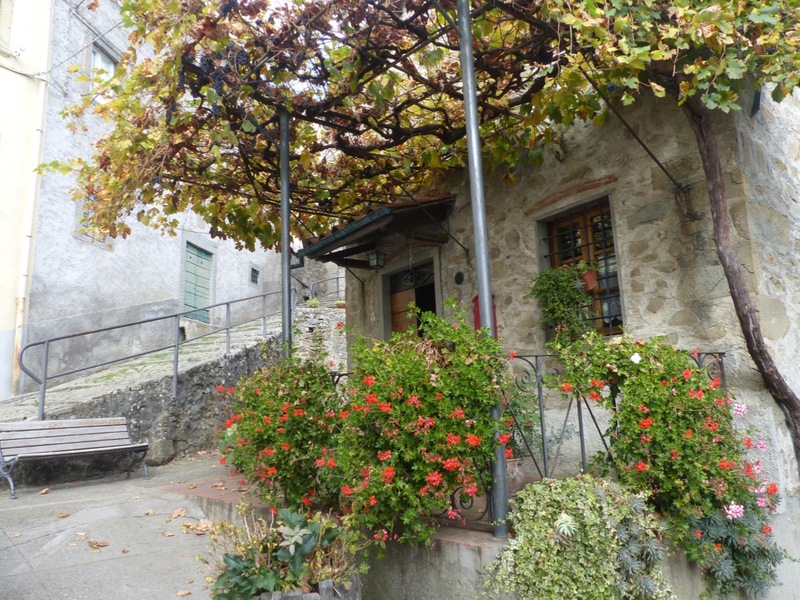 Riolo is a charming village. There are a couple more posts on Riolo with more photos. Thank you for the information about the shop and its owners! I hope you return to Riolo one day. Riolo is relatively unchanged over the decades. Oh to return to that part of Italy. Great to see the old and new. 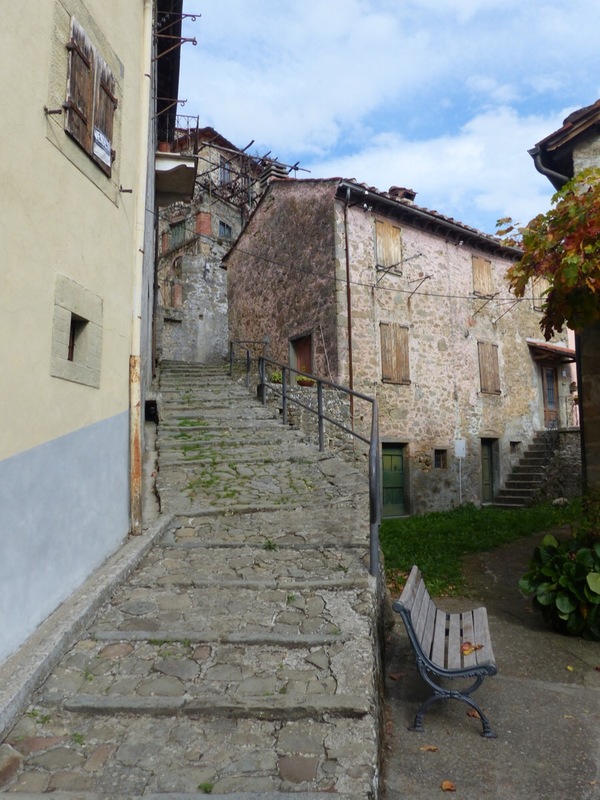 The villages of Bagni di Lucca are delightful and offer a view into the past. I visited Riolo a few years ago to look at a house that I’d seen online and fallen in love with. It’s still for sale eight years on. Sadly, I struggled to get up the path (a mule track?) and it didn’t have an outside space. Had I been ten years younger and the funds to restore it – and perhaps create a rooftop garden – I’d be living there now. I still dream about Riolo and hope to visit again one day. These lovely old houses come with issues. 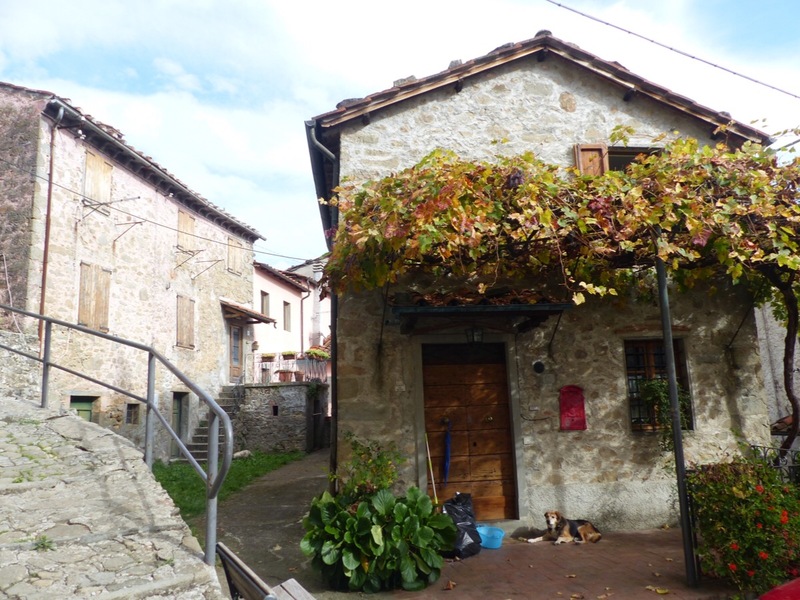 We have rebuilt a house in the mountains not far from Bagni di Lucca. There have been things to overcome, but we are delighted with the results. Great find … and if only the walls and sidewalks could talk.